With the increase in the cost of public bus transportation in Bulgaria, many people are using trains despite the lack of adequate heating. From left, officers Mike Ricker, and Kelly Willis pay their respects to officer Rodney Holder during funeral services at Beltway Park Baptist Church. Children and spouses greet the returning members of the 317th Airlift Group at Dyess Air Force base Monday. 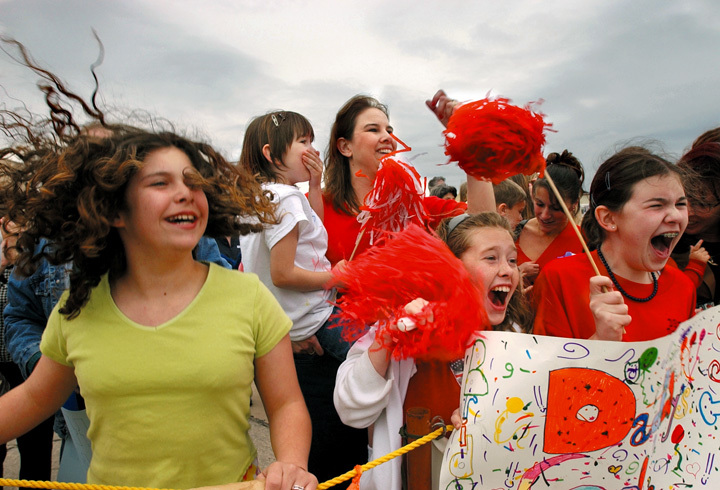 From left, front row, Ashley Obosky, Bridget Fontaine and Shelby Lachowitzer. 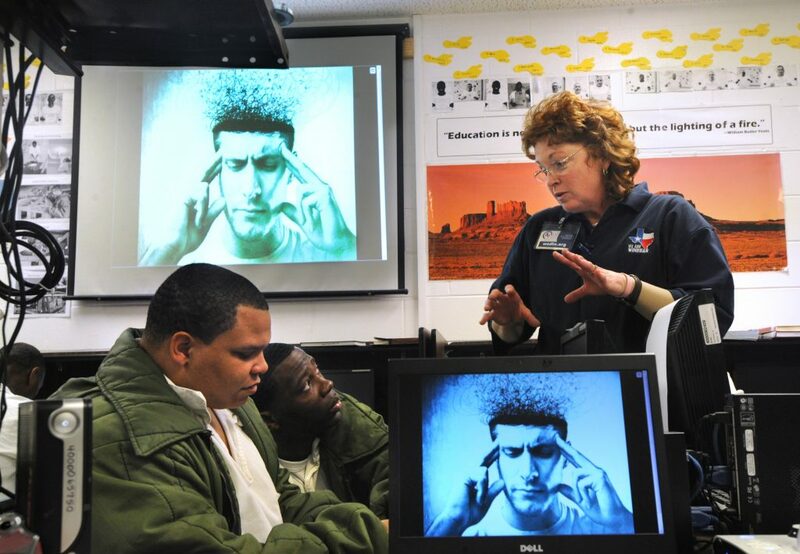 Joshua Connor, and Luther Tolbert listen as Jody Addy explains a math problem during a GED class at the Robertson Unit, a maximum security prison. Addy has taught there for 20 years since graduating from college. 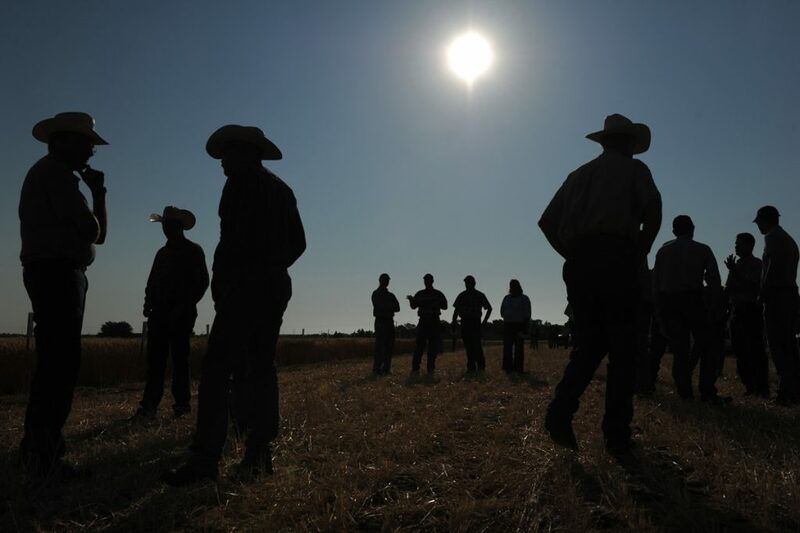 Farmers mingle before the beginning of the Multi-County Wheat Tour presentation by the Texas AgriLife Extension Service at the Taylor County Demonstration Plots. 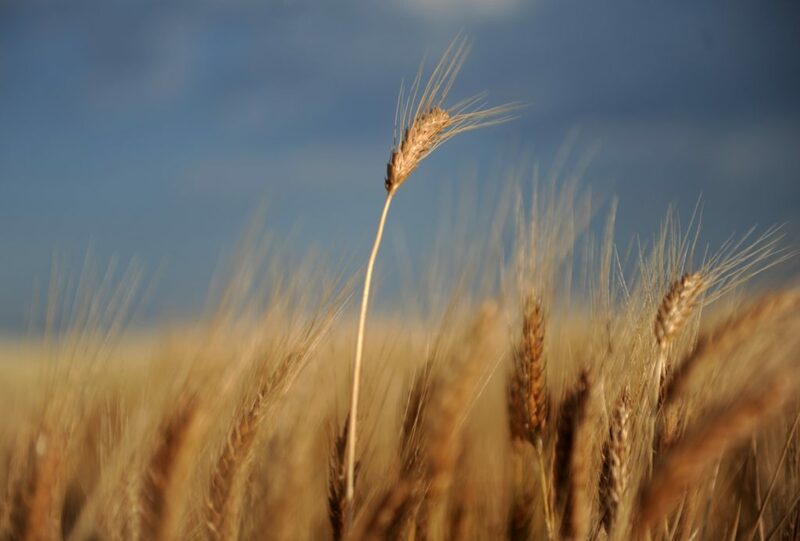 Wheat grows in a Taylor County Demonstration Plot on C.R. 521. Merkel rancher Michael Seaton ropes cattle after they are freed from the back of an 18-wheeler, which flipped on its side near the Merkel exit on westbound I-20. 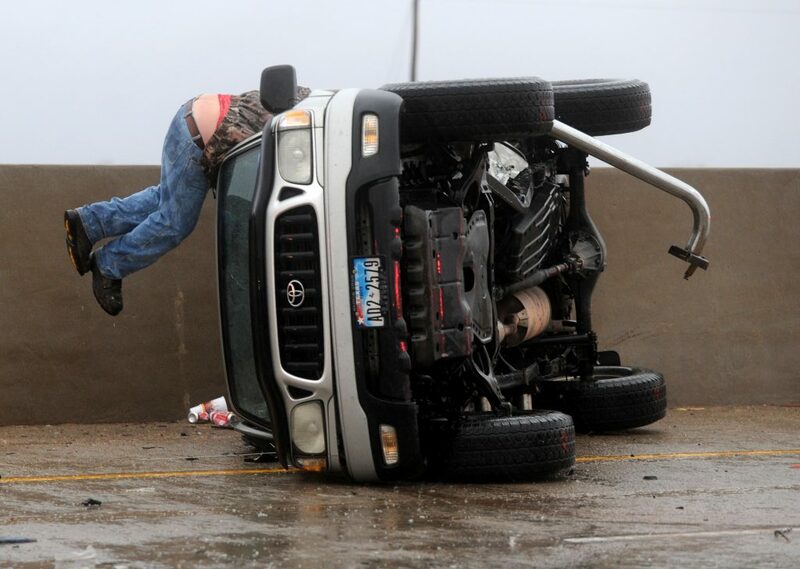 Aaron Faulkner looks inside his truck after he hydroplaned and flipped in the southbound lane of Winters Freeway. He was alone in the vehicle and was not injured. Traffic was narrowed to one lane and backed up on the freeway. 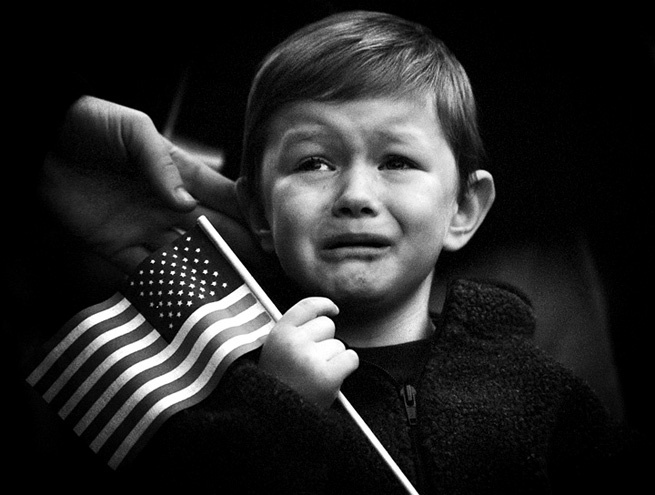 Kyle Workman, 4, cries for his mother who participates in the Homecoming parade. Laetitia Doria is giving birth, while her mother Milissa Doria, left, and boyfriend Kenyon Barnes, right, try to distract her from the pain. Laetitia is 16, and Kenyon, the father of her baby, is 18. Texas is ranked third nationally in teen pregnancy rates, behind Mississippi and New Mexico, according to the U.S. Centers for Disease Control and Prevention. 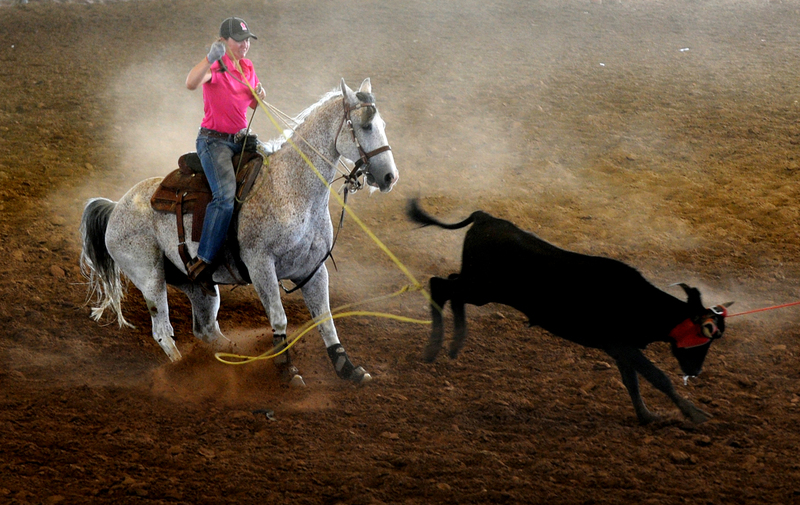 Brooke Trammell ropes a calf during the Original Team Roping Association World Finals at the Taylor County Expo Center. Amanda Goodall hangs on a tree at the Abilene Christian University campus on the first day of snow. 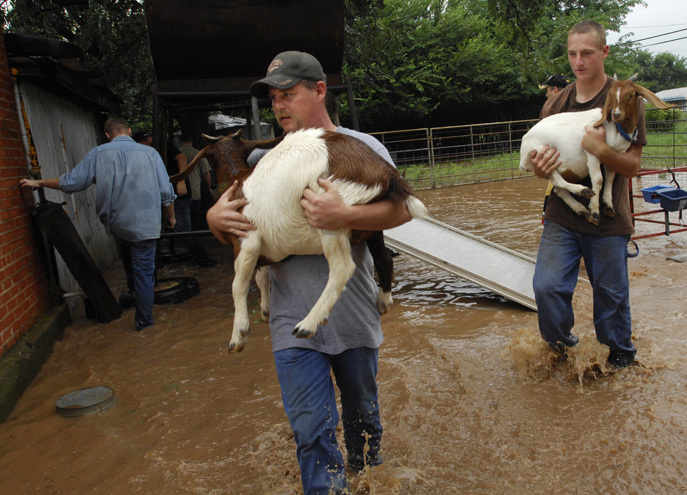 Casey Ellison, left, and Chris Ellison, right, load their relative’s six goats and two horses to move to a non-flooded house in Merkel. 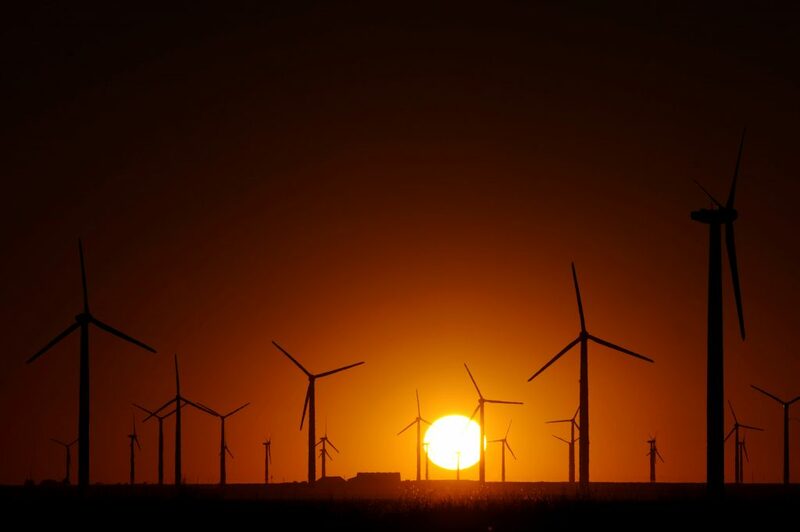 The sun sets behind wind turbines on Highway 84 East of Snyder. Sammie Meissner, center, throws her head back with impatience and boredom while waiting for the judges to resolve a parent challenge to a contestant’s disqualification near the end of the annual Big Country Spelling Bee. Sammie’s friend Lindsey Brannon, right, comments on the delay. 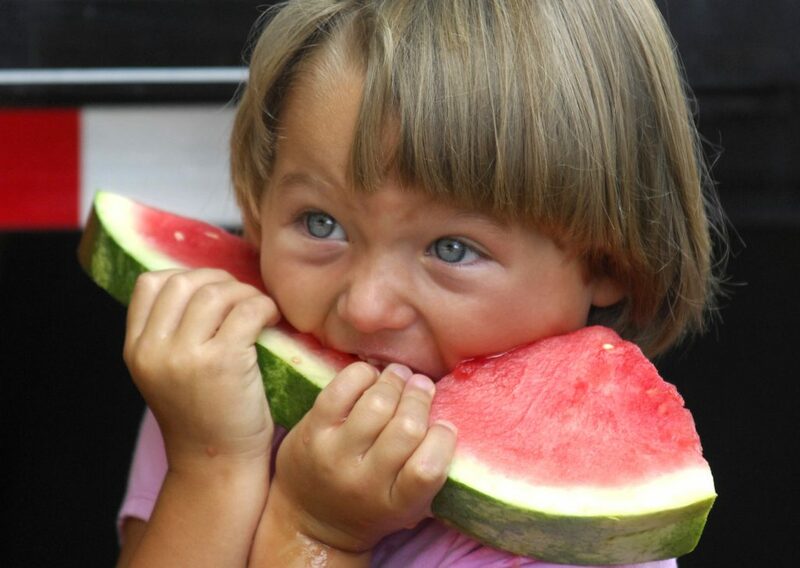 Haley Tibbets, 5, from Knox City, competes in the watermelon eating contest during the 19th annual Donald Johnson Memorial Seedless Watermelon Festival in Knox City. 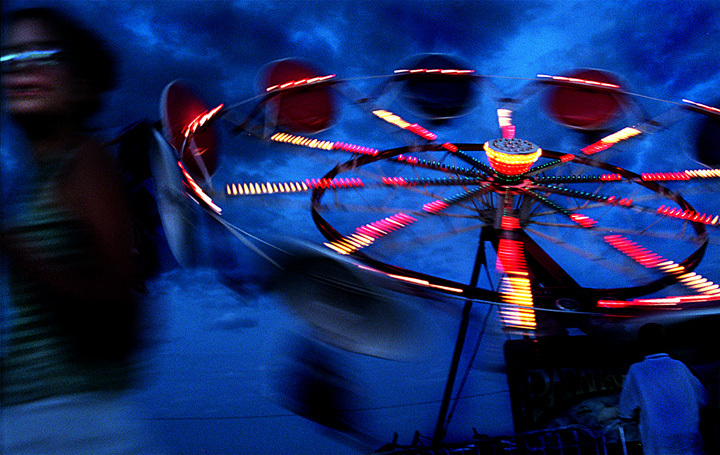 Bright lights on a carnival ride blur against the sky on the final day of the annual Gallatin County Fair.